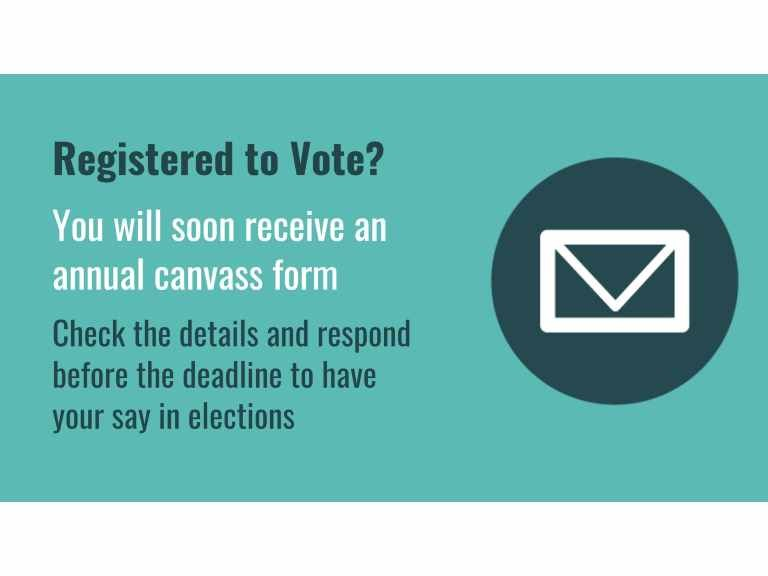 We’re urging residents in Epsom and Ewell to look out for their annual canvass form in the post, to check and update information that appears on the electoral register for their address and make sure that they respond as soon as possible. The annual canvass is a review of the electoral register, which the Council must carry out every year. Forms are now on their way to every residential address in the borough. The form is to ensure that the electoral register is up to date and to identify any residents who are not registered, so that they can be encouraged to do so. This request for information must be provided and the form will explain how this can be done either by going online, by telephone or by post. If your name is not on the electoral register, you won't be able to vote in any elections. If you're not on the register, you may find it difficult when applying for mortgages, loans, insurance or credit, as credit reference agencies use the register to check addresses of applicants. Registering to pay council tax does not automatically register you to vote. If you’re not currently registered, the easiest way to register is online at www.gov.uk/register-to-vote or we’ll send you a registration form in the post. People who have moved address recently are particularly encouraged to keep an eye out for the form and check the details. Research by the independent Electoral Commission indicates that recent home movers are far less likely to be registered than those that have lived at the same address for a long time. Please remember that you are required by law to complete and return the form, even if you are not eligible to vote in the UK, or if you are already registered and are on the register. Failure to return the completed form is an offence, which could lead to a fine of up to £1,000.